In the build-up to the highly anticipated, inaugural mens day-night Ashes test, it seems odd to be discussing T20 cricket. However, the recently concluded T20 block of the Victorian Premier Cricket season has raised considerable interest in the ongoing of role of T20 cricket at grassroots level, and the impact this will have at professional level. Across four rounds of T20 games in Mens Premier Firsts, the stepping stone to domestic cricket, the average score was 6/116. A low score, considering what cricket supporters have become accustomed to from exposure to professional competitions like the Big Bash. This average total is impacted by factors like difficult batting pitches and inclement weather. However, the modest results once again raise a decade-long question: does Australian cricket treat T20 seriously enough? The Premier Cricket competitions in each state are intended to be breeding grounds for domestic and international players. 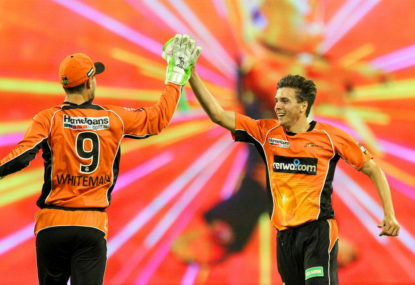 Considering both the mens and womens’ Big Bash consists of eight teams, rather than the six states, more players than ever should be developed at premier level for the step-up to professional cricket. Although, the underwhelming results in Victorian Premier Cricket’s recent T20 rounds raises doubts about the progression of the pathway. If T20 is the most likely format for club players to achieve their dreams of playing professionally, why are premiers clubs in Victoria only playing four games a season? How are players going to excel when they train little for T20 because the majority of their season consists of one-day and two-day games? This lack of development of T20 cricket at grassroots level has serious potential to jeopardise the ongoing development of the standard of the Big Bash. It is evident that T20 cricket is booming globally. Domestic competitions like the Big Bash, Indian Premier League and Caribbean Premier League are getting bigger every year. So, is it about time Cricket Australia, in conjunction with the states, revitalised grassroots cricket in order to give players the best possibility to become a part of the fastest growing area of the sport. Currently, T20 is viewed as burden by many premier cricketers. Concerns range from the hindrance it can cause to batting averages, not knowing how to best play T20, to only playing T20 because the governing bodies intend to give existing Big Bash players practice. There desperately needs to be a change in these attitudes, which can only stem from changes by the games governing bodies. T20 must be seen by players as an opportunity to prosper. T20 needs to become an integral part of the club cricket summer, just like the Big Bash is an integral part of the professional cricket summer. Australia has traditionally been slow to grasp T20, so taking initiative is overdue. Developing a strong pathway from premier cricket to the Big Bash will grow the game both at grassroots and professional level. Equal emphasis must be placed on players pushing through premier cricket to earn a Big Bash contract and/or a state contract. Therefore, from next season, it is time for change in grassroots cricket.